Una de las cosas que más disfruto del Internet Movie Data Base es su sección Quotes. 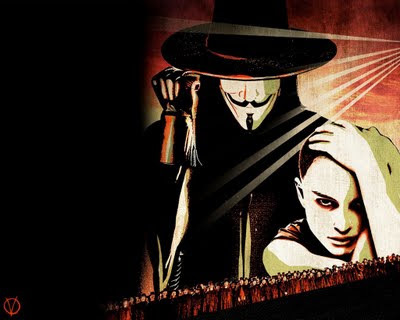 Hoy, fifth of november, es la fecha perfecta para recordar quotes de una gran película dirigida por James McTeigue, actuada por Hugo Weaving, Natalie Portman, Stephen Rea, John Hurt y Stpehen Fry. V: [Evey pulls out her mace] I can assure you I mean you no harm. V: But on this most auspicious of nights, permit me then, in lieu of the more commonplace sobriquet, to suggest the character of this dramatis persona. Evey Hammond: Are you like a crazy person? V: I am quite sure they will say so. But to whom, might I ask, am I speaking with? V: Evey? E-V. Of course you are. Evey Hammond: What does that mean? V: It means that I, like God, do not play with dice and I don't believe in coincidences. V: Good evening, London. Allow me first to apologize for this interruption. I do, like many of you, appreciate the comforts of every day routine- the security of the familiar, the tranquility of repetition. I enjoy them as much as any bloke. But in the spirit of commemoration, there by those important events of the past usually associated with someone's death or the end of some awful bloody struggle, a celebration of a nice holiday, I thought we could mark this November the 5th, a day that is sadly no longer remembered, by taking some time out of our daily lives to sit down and have a little chat. There are of course those who do not want us to speak. I suspect even now, orders are being shouted into telephones, and men with guns will soon be on their way. Why? Because while the truncheon may be used in lieu of conversation, words will always retain their power. Words offer the means to meaning, and for those who will listen, the enunciation of truth. And the truth is, there is something terribly wrong with this country, isn't there? Cruelty and injustice, intolerance and oppression. And where once you had the freedom to object, to think and speak as you saw fit, you now have censors and systems of surveillance coercing your conformity and soliciting your submission. How did this happen? Who's to blame? Well certainly there are those more responsible than others, and they will be held accountable, but again truth be told, if you're looking for the guilty, you need only look into a mirror. I know why you did it. I know you were afraid. Who wouldn't be? War, terror, disease. There were a myriad of problems which conspired to corrupt your reason and rob you of your common sense. Fear got the best of you, and in your panic you turned to the now high chancellor, Adam Sutler. He promised you order, he promised you peace, and all he demanded in return was your silent, obedient consent. V: It is to Madame Justice that I dedicate this concerto, in honor of the holiday that is sadly no longer remembered, and in recognition of the impostor that stands in her stead. Tell me Evey, do you know what day it is? Evey Hammond: Um, November the 4th. V: [midnight church bells ring] Not anymore. 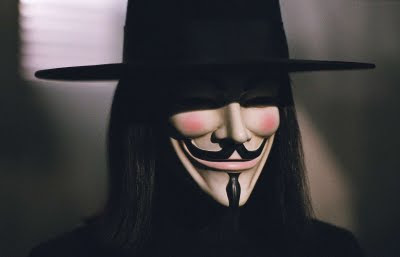 Remember, remember the 5th of November. The gunpowder, treason, and plot. I know of no reason why the gunpowder treason should ever be forgot. Aunque lo triste es que en Inglaterra lo queman por traición a la patria pero yo apoyo. 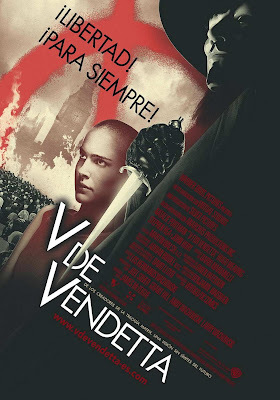 Aparte la película de V es mi favorita gracias por recordar el 5 de noviembre. Aniovedh: ¡Tienes que verla! Y ¿cuál corto? Decía que subí el trailer de Nowhere boy.